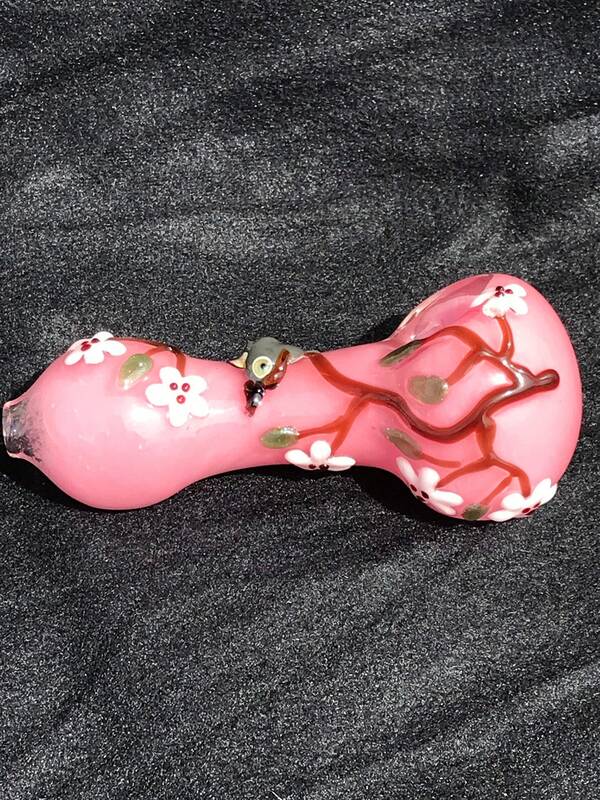 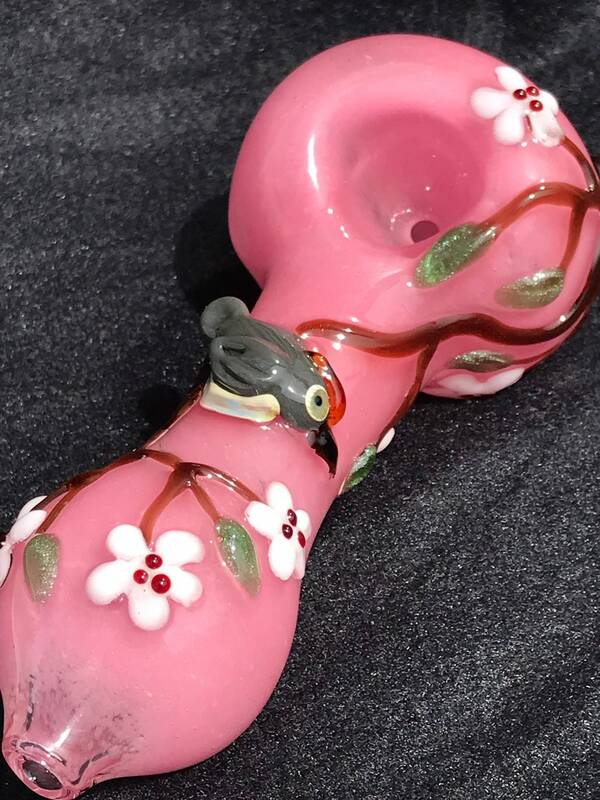 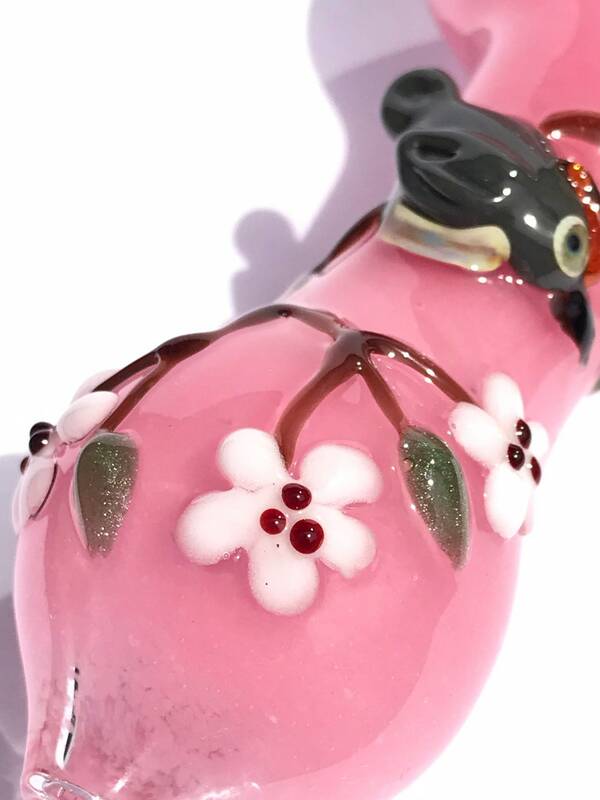 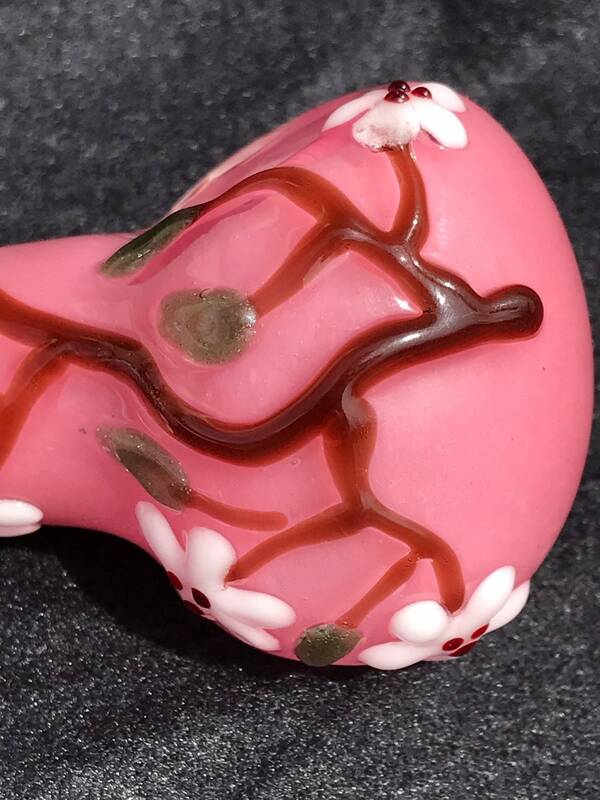 Pink pipe with branches and Cherry Blossoms. 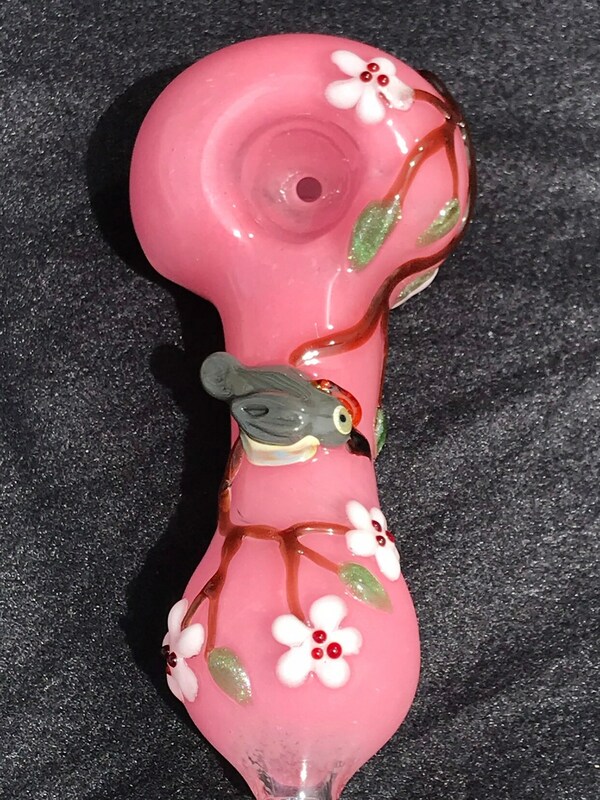 A lil bird sitting there enjoying the view. 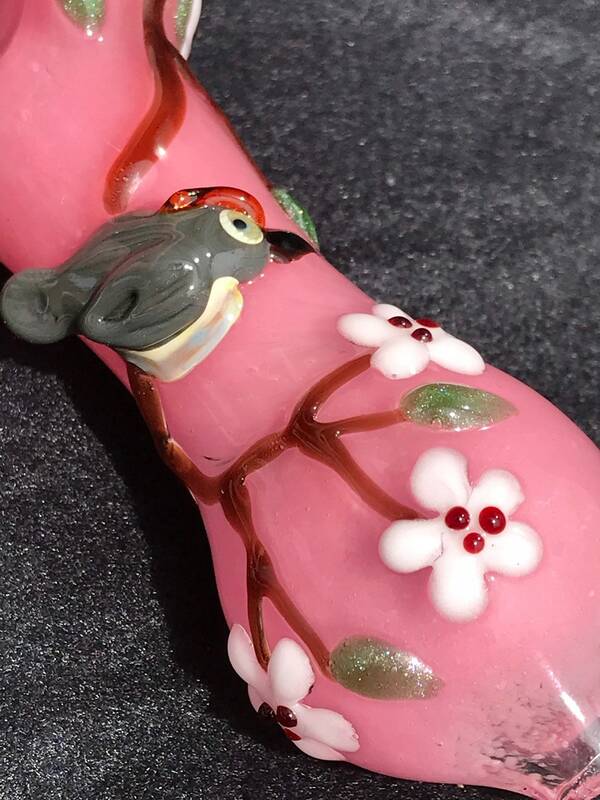 Very nice feel in your hand!